After the perfect proposal, it’s time to plan your dream wedding! Destination weddings require hauling the most precious of cargo on the plane: the dress. Many brides wonder how to pack their dresses so they arrive in one piece, won’t get lost in transit, and won’t be confiscated by TSA. According to a study by The Knot, 21 percent of couples host destination weddings. The same study also revealed that most women spend more than $1,400 on their dream dress. For many brides-to-be who plan their wedding in a faraway locale, shipping a dress with such an expensive price tag is enough to induce a panic attack. The good news is that there are many options to help ensure your dream dress arrives without hassle or worry. Sending the dress via plane just requires a bit of prepping and diligence. 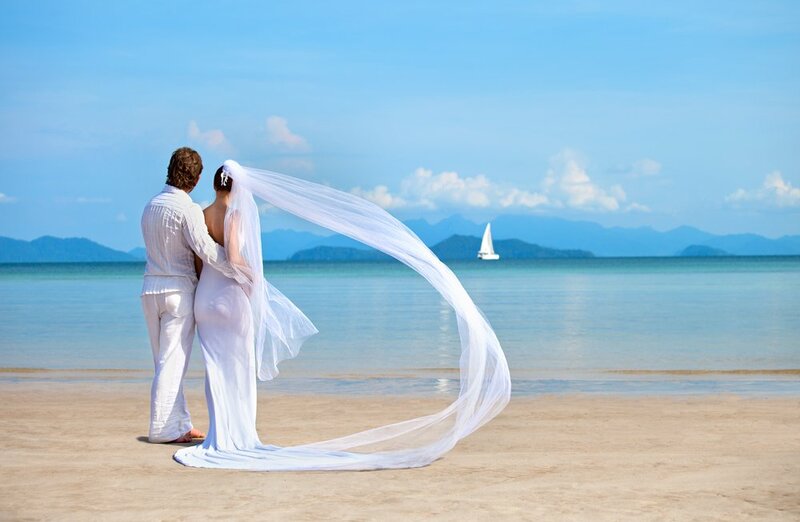 TSA’s official blog addresses destination weddings and the wedding dress travel conundrum. Wedding dresses often are seen passing through TSA checkpoints, so rest assured that the zippered bag is nothing new for agents. However, TSA does offer a bit of friendly advice to brides traveling with these precious garment bags. TSA advises brides to call their airline to discuss if the dress is allowed to be packed in the overhead compartments or stored in an on-flight closet. 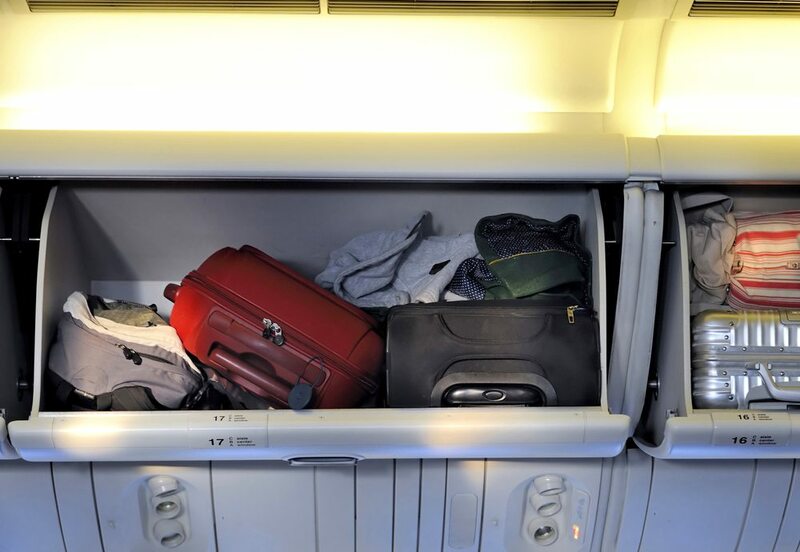 Some airlines allow the dress as a carry-on item or offer closets to store larger garments, but others do not. Also, if a dress is taken into the plane and not checked as luggage, the dress is considered a carry-on item. If the wedding dress is allowed to be taken as a carry-on item, the dress will need to be screened by TSA via the x-ray machine. For cumbersome and full-skirted dresses that cannot be screened via x-ray, TSA will have to open the bag to inspect the contents. Be prepared for this, and make sure the future groom is out of sight. If the dress is being checked as luggage, be sure to pack it in a sealed garment bag or within a larger piece of luggage. Make sure you label the item with identifying information including a last name, destination, and phone number in case the item does become lost in transit. That way it can be returned to you quickly and in time for the big day. Brides Magazine recommends that brides who are absolutely determined to travel with the dress should purchase a separate ticket for the dress to occupy an accompanying seat. While another ticket is an expensive option, the extra seat does ensure the bride has her eyes on the dress at all times. If you plan for this ahead of time, it can be easy to budget for the extra expense. With the popularity of destination weddings, brides traveling with their wedding dresses are a common sight in most airports. Ensuring the dress arrives safely and on time requires brides to remain diligent in their communication with airlines and prepare for possible delays at security screening checkpoints. Whether the dress flies next to the bride, in the overhead storage, or is checked as luggage, following common sense guidelines will help ease the stress of traveling with a bride’s most priceless possession.